PRESS RELEASE: Beginning June 1, Colonial Williamsburg’s Honoring Service to America program expands year-round to offer a complimentary Single-day admission ticket for active-duty military, reserve and National Guard personnel and up to three direct dependents, while each year retirees and veterans qualify for 50 percent off a Single-day ticket or Annual Passes for up to five direct dependents. The promotion is part of a Foundation initiative to further honor military service and follows the official May 26 opening of Liberty Lounge, a new complimentary space where ticketed Colonial Williamsburg military guests can relax and recharge in the Revolutionary City. Elisabeth Reiss, wife of Colonial Williamsburg President and CEO Mitchell B. Reiss, spearheads the expansion of military outreach including the Honoring Service program. Eligible guests may take advantage of these offers onsite at ticket locations including the Colonial Williamsburg Regional Visitor Center and the Lumber House and Merchants Square ticket offices. Additional information is available online at colonialwilliamsburg.com/military or by calling 855-296-6627. 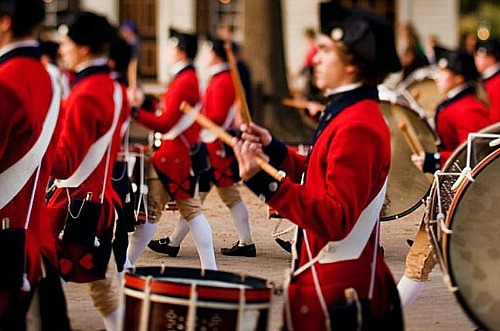 Learn more about Colonial Williamsburg on MilitaryBridge!